Get an extra 25% trade credit on All Video Game Consoles! 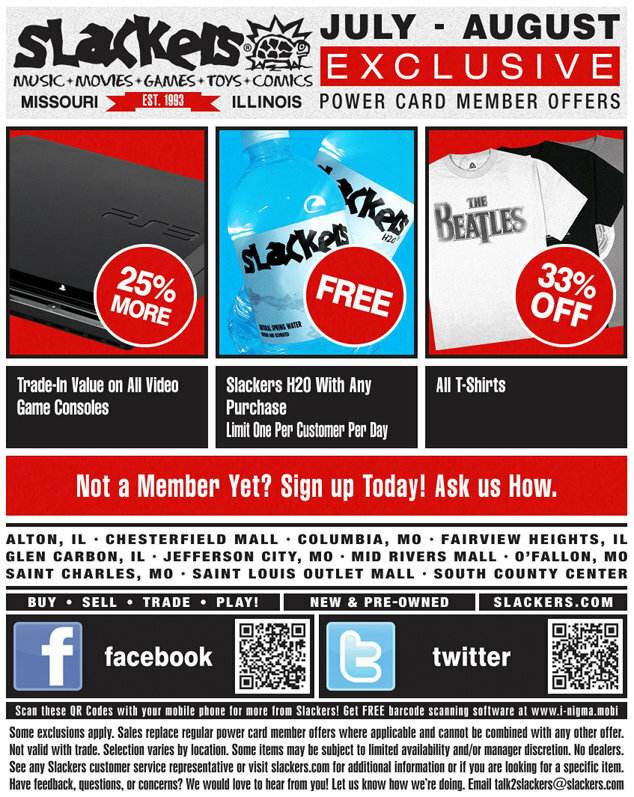 Free Slackers H20 with Any Purchase! Take 33% off the price on All T-Shirts!